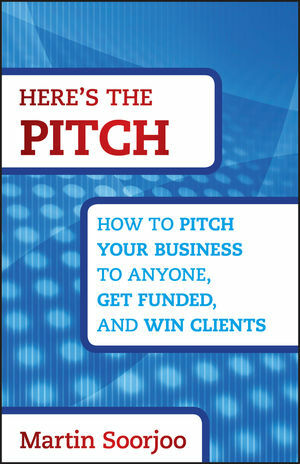 MARTIN SOORJOO is a pitch strategist and founder of the San Francisco–based Investor Pitch Clinic (IPC). He coaches entrepreneurs across the United States, Canada, Europe, and India, helping them launch and raise funding. Prior to founding the IPC, Martin spent fifteen years as an attorney. He has worked with start-ups and investors, including senior investment bankers, venture capitalists, and angel investors. This experience equipped him with unique insights into the challenges start-ups face and how investors make their decisions. He is a Certified Master Practitioner of Neuro-Linguistic Programming (NLP) and expert in body language.